I’m back once again with a book review, because as much as I would like to write other things and feel as if my life is more together at certain times of the day I just lose motivation and can’t. Hopefully with a day off coming up I will be able to get a bunch of things done and feel motivated to do other things. All of this is pretty fitting since this is a book review for Erin Falconer’s How to get Sh*t Done. The quick rundown and why I read this book. I really enjoy self help books and I find them a little motivating, however this was a Paper & Glam book club pick for January that didn’t go over quite well. While, I did take quite a bit of notes, but I didn’t find any new information out of the book that I had not heard before. Though the book was published in 2018, I found that the information was a bit dated and wasn’t as motiving as it could be. 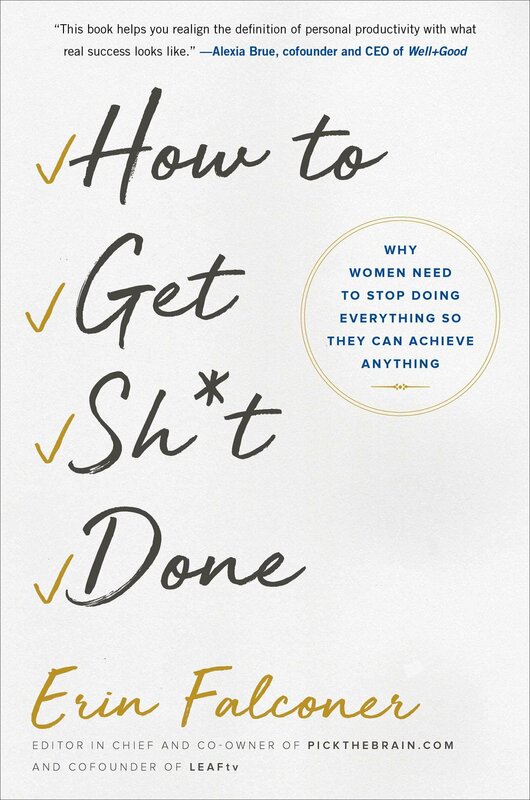 I know that the book was marketed as a woman CEO self help book for other women since most self help or productivity books are written by men. If you have not read any major authors in productivity, which I plan on doing this year, so hopefully you’ll be able to read some of those reviews here this year. I would recommend that you read some of those. Otherwise, if this is your first productivity book this is a good starter book. Let me know what you have been reading lately and what other books that you would recommend that I read? Thanks for reading along and hope to see you again soon.